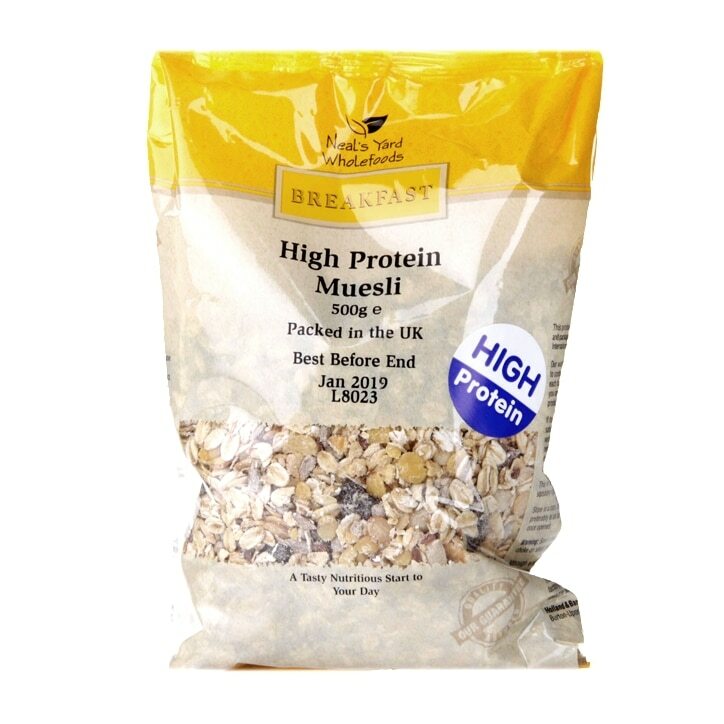 Holland & Barrett High Protein Muesli is rated 4.9 out of 5 by 14. Rated 5 out of 5 by Allly from Tasty! Not you’re normal tasteless cereal. Lovely mixture of textures and tastes. Good quality ingredients. Shame it only comes in one size pack. Larger one would be good! Stock up when it’s on offer! Rated 5 out of 5 by BahaNick16 from Amazingly tasty Bought in a bid to increase my protein intake at every meal, so much better than 'fortified' Weetabix (mush in a bowl), surprised that it doesn't rely on sugar to be tasty, 5 stars! Rated 5 out of 5 by Anniewee from Impressed Not usually a fan of muesli but this has changed my mind. I sprinkle this on my breakfast cereal to give it a protein boost and so keeps me fuller longer. Recommended to muesli shy people!